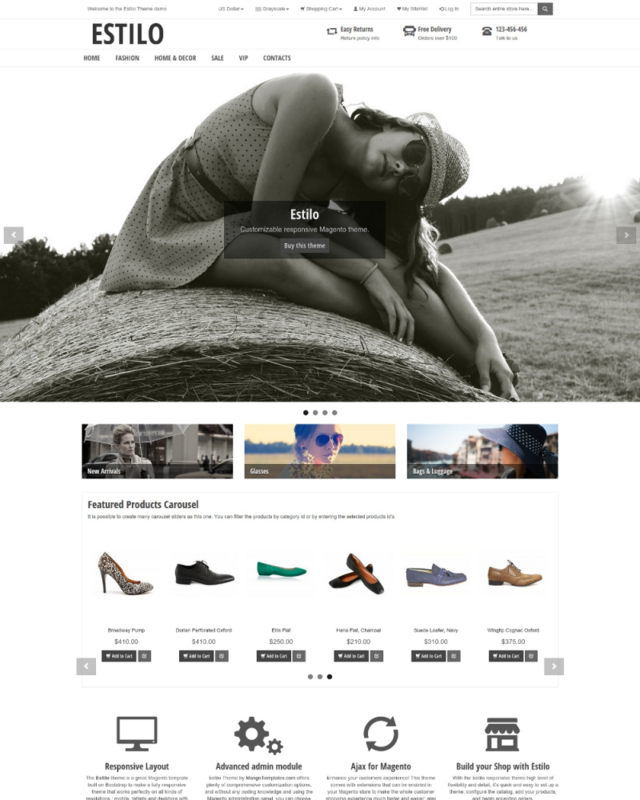 Estilo is a clean, flexible and fully responsive theme for Magento, it is suited for all kinds of e-commerce websites. It comes with tons of features and options so you can modify your website layout, styling and colors and use these powerful features to build a beautiful e-commerce site based on Magento. A license is a valid for one domain only. Please contact us for developer licenses. 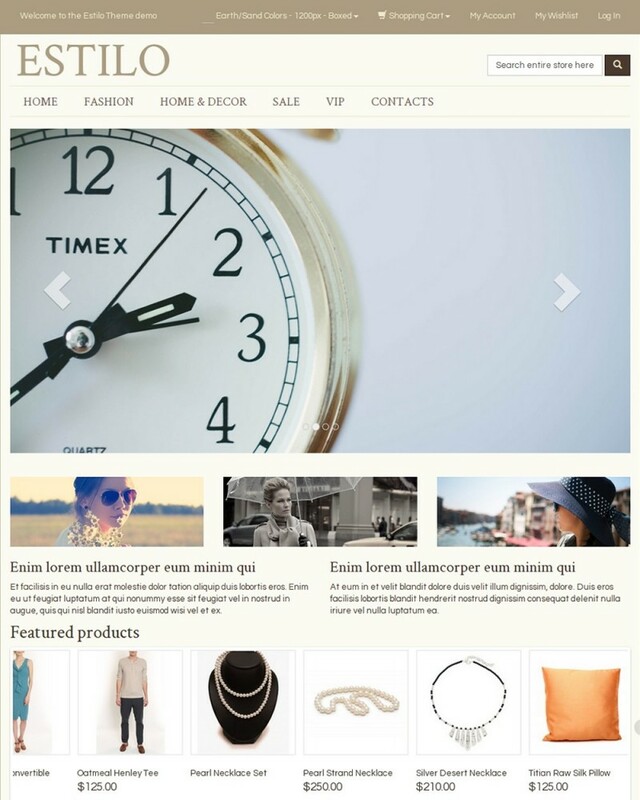 The Estilo Theme for Magento is a highly-customizable Ajax-enabled responsive theme based on the Twitter Bootstrap framework. With a wealth of unique functionality & comprehensive options, without any coding knowledge, you can customize freely to make it your own with settings that include the page background, text and elements colors, Google fonts, logo, layout, header, breadcrumbs, categories navigation, catalog, footer and buttons. 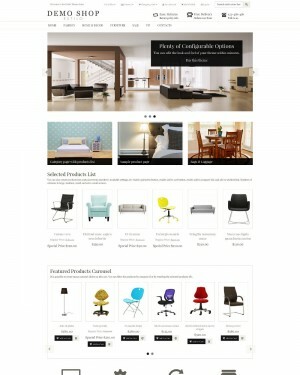 The homepage can be easily configured to include a slideshow and display highlighted products. With such a wide range of customization options available, you can tweak this theme to suit your business and get our excellent support whenever you need it. 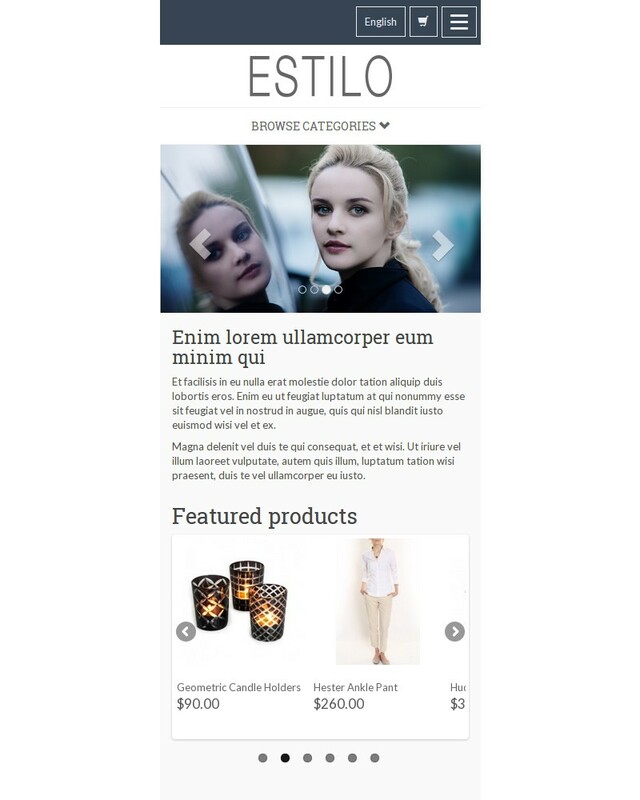 In addition to having many configurable options and layouts, more competent users can take advantage of Bootstrap to use the Estilo theme for Magento as a base for more advanced custom themes. The Estilo Theme for Magento 1.7, 1.8 and 1.9 is designed to make it quick & easy to browse through all the categories and products your store has to offer. 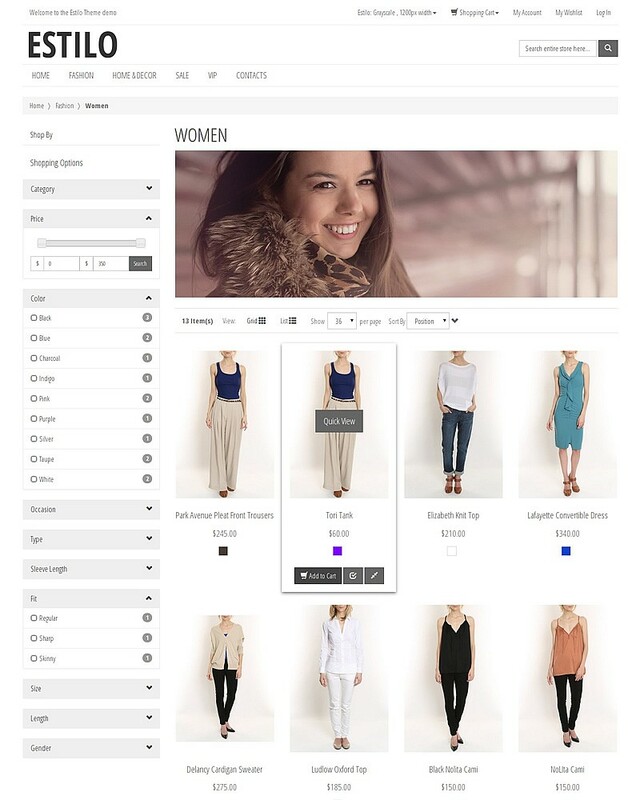 A variety of awesome features including Ajax add-to-cart, quick-view, product image zoom, Ajax layered navigation with price slider, color swatches and more. All that is topped off with our great support to help your project and business succeed. Our themes are bundled with the most popular plugins developed by our MangoExtensions.com team enabled by default, you don't have to spend time trying to integrate multiple plugins from different providers into one theme, no more problems with plugins and libraries conflicts or template adaptations. A fully responsive theme that re-adjusts display to match the device being used whether Computer, Tablet or Handheld Device. This theme looks friendly on mobile devices, including iPad, iPhone and Android devices. Modal popup, quick view (Also called quick look) is an available extension for the products lists. Use AJAX to add product to the wishlist and to the compare list. Add and remove products to the shopping cart directly from the catalog pages without reloading the page. jQuery based AJAX for the Layered Navigation. The products lists appear without refreshing the page. With support for multiple selection of filters, filter options appear as checkboxes, site visitors can select more than one value of the same filter. 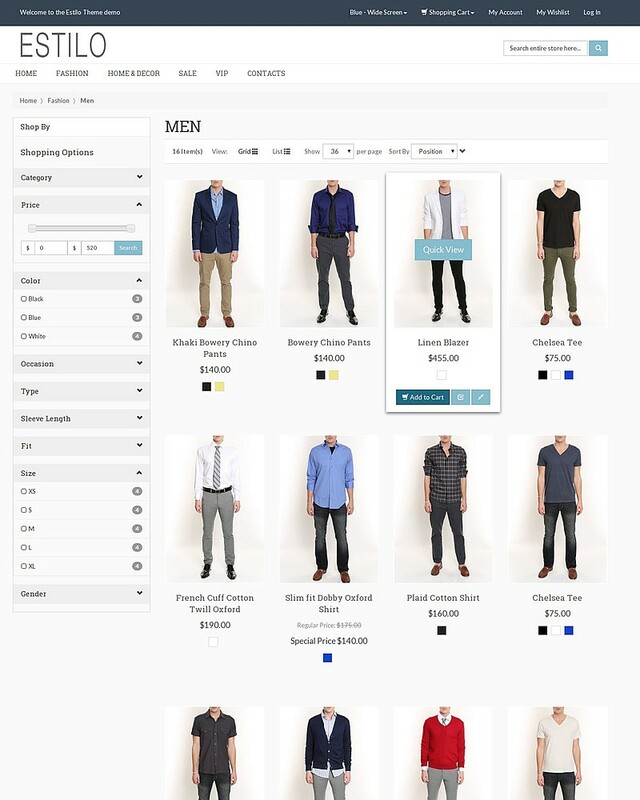 For customers to filter products in the catalog by price range, with configurable slider step value, the Price Slider uses an implementation of the jQuery UI slider component. Display color swatches in the catalog product listing, to have a preview of the product options. This extension can be used to display swatches for color, brand, type, size or any other configurable attribute on the product details page. Multicolumn categories menu. Option to add custom links and insert cms static blocks. Configure the homepage slider, static blocks and featured products carousel from the settings section in the admin panel. Create multiple rows and columns of CMS static blocks on the footer section. Ideal to create custom menus, display banners , forms and extra information. Muy satisfecho con la plantilla y con el soporte que brindan. Muy recomendable. Great Theme and Perfect Support!!! The best theme for mobile as well as desktop.